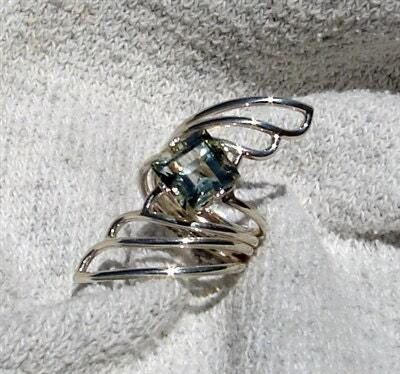 This Green Amethyst ring is handcrafted for our Coastal Collection. A wave style Sterling Silver band that stretches across your finger like an incoming tide. 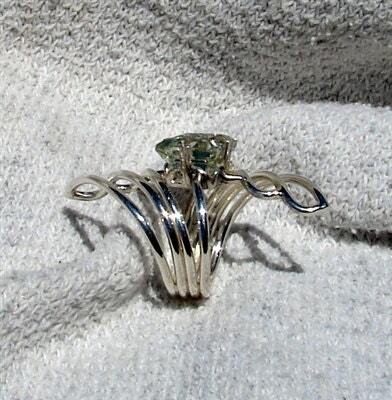 A five carat square cut (10mm) Sea Green Amethyst is set between the two waves. If you would like a different cut on the stone please ask us we can accomodate you.